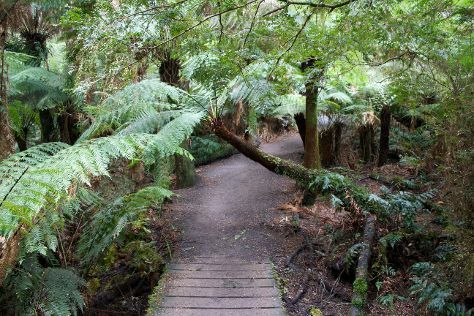 On the 1st (Mon), tour the pleasant surroundings at Anglesea Bike Park. Here are some ideas for day two: cruise along The Great Ocean Road and then enjoy some diversion at Torquay Foreshore Play Park. To see traveler tips, other places to visit, photos, and tourist information, read Torquay trip itinerary builder app . Sydney to Torquay is an approximately 6-hour combination of flight and shuttle. You can also fly; or drive. Traveling from Sydney in April, you can expect nighttime temperatures to be little chillier in Torquay, with lows of 11°C. Finish up your sightseeing early on the 3rd (Wed) so you can go by car to Apollo Bay. Apollo Bay is a coastal town in southwestern Victoria, Australia. On the 4th (Thu), hike along Great Ocean Walk, stroll through Mait's Rest, and then take some stellar pictures from Mariners Lookout. 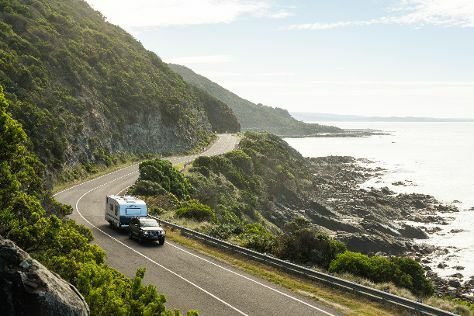 For maps, other places to visit, where to stay, and other tourist information, go to the Apollo Bay road trip planner. You can drive from Torquay to Apollo Bay in 1.5 hours. Another option is to take a bus. Finish your sightseeing early on the 4th (Thu) so you can drive to Warrnambool. Warrnambool is a regional centre and former port city on the south-western coast of Victoria, Australia. 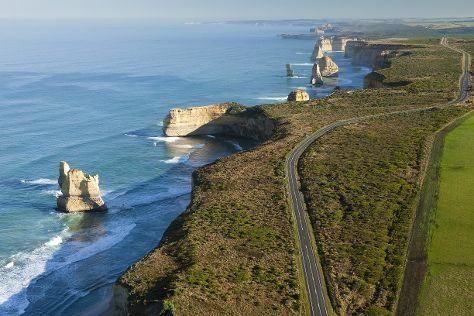 Venture out of the city with trips to Port Campbell (Port Campbell National Park, London Bridge, & more). There's still lots to do: explore the activities along Bay of Islands, tour the pleasant surroundings at Lake Pertobe Adventure Playground, contemplate the geological forces at Tower Hill Wildlife Reserve, and look for all kinds of wild species at Thunder point Coastal Reserve. To find more things to do, maps, photos, and tourist information, go to the Warrnambool trip planner. Getting from Apollo Bay to Warrnambool by car takes about 3 hours. Other options: take a bus; or do a combination of bus and train. Finish your sightseeing early on the 8th (Mon) to allow enough time to travel back home.